Privately owned and operated by the Kay family, Burrows Park is a perfect base for families and couples wishing to explore the stunning countryside of North Yorkshire. During the summer of 2013, Burrows Park undertook major redevelopment work which included improvement to the landscaped areas and the addition of a toilet block including a disabled toilet and shower room and a full bathroom. 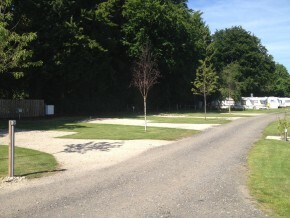 Spacious pitches for Tourers, motorhomes, campervans, trailer tents and tents. Attached to Burrows Park is a rally field that is available for hire if you wish to host a rally. Simply download the enquiry form by clicking on the link below.